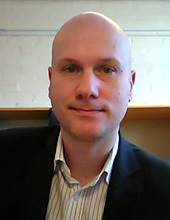 Dr Magnus Bengtsson holds a post-doctoral position in machine elements and systems. He received his PhD from Chalmers in 2009. His own research is on aggregate quality in crushing plants. He has a close collaboration with international research institutes and mining companies. Several research results has been implemented in industrial applications. There might be more projects where Magnus Bengtsson participates, but you have to be logged in as a Chalmers employee to see them.